When you have skin complaints, such as scarring, excess hair, or laxity, the Icon™ Aesthetic System can help. 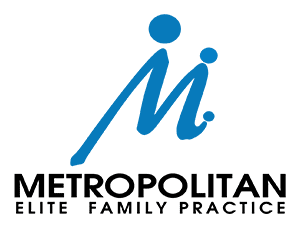 Seek this simple, effective treatment from Dr. Linda McGee at Metropolitan Elite Family Practice located in Laurel, Maryland. The versatile technology of the Icon laser system allows for treatment of a wide range of skin types and skin concerns. Call the office or schedule an appointment online to learn how you could benefit. The Icon combines fractional laser handpieces and intense pulsed light technology to provide treatment for a variety of skin concerns. Because it comes with numerous handheld devices that can address small and large areas, it is adaptable to treat the skin on both your face and your body. During a session, Dr. McGee glides the handpiece across the desired treatment areas, directing a laser or light energy onto your skin. The laser energy penetrates the surface of your skin to address the issues you desire to have treated. Dr. McGee adjusts the laser settings to customize the treatment to your concerns. What types of issues can be treated with the Icon laser? Discuss your aesthetic goals with Dr. McGee to determine if treatment with the Icon laser is right for you. Who is a good candidate for Icon laser treatments? The Icon laser is ideal for men and women who want to improve their overall skin tone and texture without invasive surgical strategies. Although the Icon treats the majority of skin types, people with darker skin may want to avoid certain treatments. 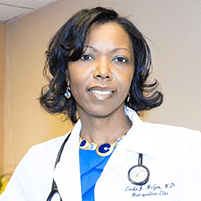 Dr. McGee can advise you on which laser treatments are best for you. When the laser energy passes over your skin, you feel a snap or sting as if a rubber band were popping against your skin. Areas are passed over just once, so the session goes quickly and most people tolerate it quite well. Following a session, Dr. McGee applies a cold compress to your skin to alleviate any discomfort. The number of sessions you need depends on your aesthetic goals. If you’re looking to reduce or eliminate hair growth, up to six sessions are usually necessary. If you want to even out your skin tone and reduce the signs of aging and sun damage, one or two treatments is often sufficient. Discuss your aesthetic goals with Dr. McGee to craft the right treatment plan for you. For more information about the Icon laser, call Metropolitan Elite Family Practice or book an appointment using the online tool.